Press releases are a great way to get attention for your new book, book award or your 4- or 5-star review from the San Francisco or Manhattan Book Reviews, or Kids’ BookBuzz. You can also use our press release service to promote a review from another book review company, we don’t mind. Our press releases go out to more than 1000 news outlets including Google, Bing, the Associated Press and hundreds of local, state, national and international media outlets. Press releases are primarily targeted at journalists, but many sites use them for content either automatically or on a curated basis. A well-written press release may end up with additional press coverage, or just the automatic coverage from the release being posted on hundreds of media sites. Press releases from one of the major services (eReleases, PR Web and PR Newswire) start at $250 for basic distribution and increase in price quickly to $1,000 for larger distribution, press release writing and more. We have one fixed price – $299, and we walk you through the press release writing process with an online form that lets you focus on the news you want to share and lets us craft your release for you. 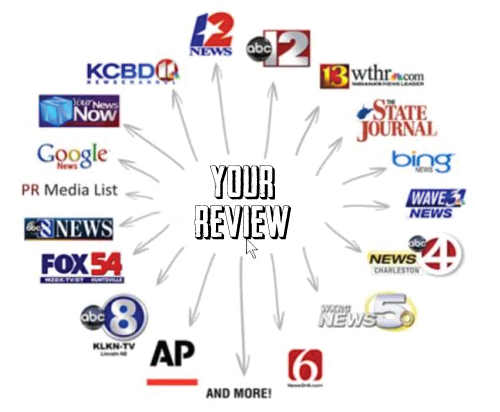 If you’ve had a 4- or 5-star review from one of the City Book Review publications, we’ll deduct $50 off the price of the press release promoting your review. Foran discounted fee, City Book Review will send out a press release announcing your review from each of the publications. The press release will contain a summary of the review, a pull quote from the review and a link to the author’s web page and/or the review of the book. “We’re happy to start adding in this new critical service for authors to help them break through the crowd and get more attention to their work”, said City Book Review publisher Heidi Komlofske-Rojek. 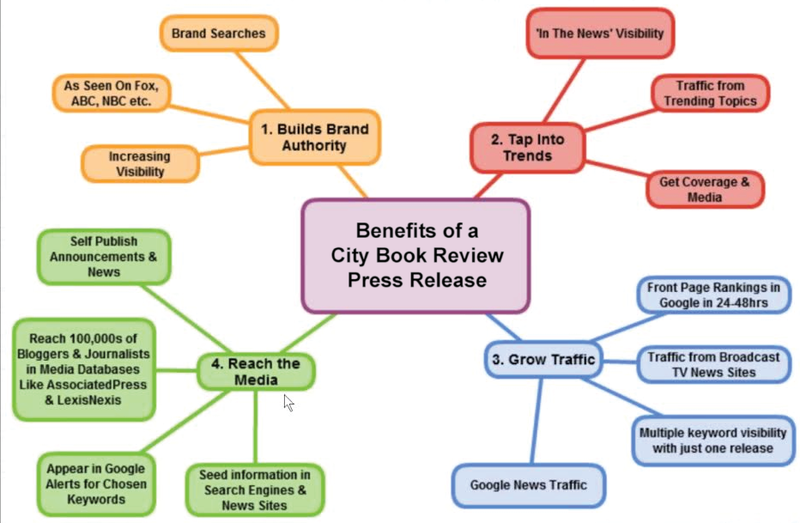 With your press release coming from the San Francisco, Seattle, Tulsa, or Manhattan Book Reviews, you’ll get extra authority in your news release, and we’ll post your release on our site as well.